He’s back, by popular demand! 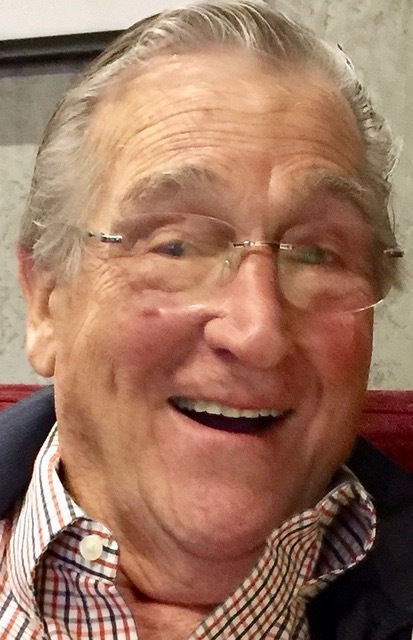 The last time we booked comedy great Shecky Greene on “Conversations with Norm,” two years ago, he sold out the joint three weeks before the show. He’s returning April 15, a week after his 92nd birthday, for an encore performance at Myron’s Cabaret Jazz at The Smith Center for the Performing Arts. His only request: he wants a piano for some of his material. Greene has agreed because he loves kids and he has a long history of raising funds to help them. He’s again pitching in to help us with a great cause: all proceeds benefit The Smith Center’s Eduation and Outreach Programs. For many of the children it’s their introduction to the arts. Over 50 years ago, 1967 to be precise, he conceived the “Night of Stars” gala to help fund the St. Jude’s Ranch for (neglected) Children. Greene has never forgotten getting the event off the ground when he recruited Frank Sinatra and Dean Martin that first year. He emceed and performed for the first two years. Las Vegans haven’t forgotten his zany act either. Seeing the powerful effect Greene’s genius had on the Smith Center crowd two years ago was one thing. It was his first public outing in several years and he was greeted with gales of laughter and an emotional standing ovation. But my biggest joy came when my assistant, Joanne Downey, said Greene shed tears of joy on the way back to the green room. “I was very pleased,” he told me during a recent breakfast. “It’s like having the bases loaded. What are you going to do? You want to hit a home run,” he said. On my way to and from a breakfast with him and others at Sunset Station Hotel & Casino, I saw something else that deeply effected him: Greene stopped families with toddlers and made baby talk. “I got a thing about kids,” he said later. “It breaks my heart. I grew up during the Depression so every one had a rough childhood. “I was with Danny Thomas when he started St. Jude, when he got the first checks. The thing he was going to do was build a church, but a very good friend of his—his name was Ira -- talked him into building a hospital for children. St. Jude was his patron saint. He went to church with his wife and prayed to St. Jude,” the patron saint of hopeless causes. According to various biographies, Thomas was a struggling entertainer when he attended a Catholic church in Detroit and was so moved he placed his last $7 in the collection box. He became convinced that the power of prayer was getting him tough times and pledged to honor St. Jude. His career took off and he became a rallying force behind the construction of St. Jude Children’s Hospital in Memphis. Greene still needs a walker since breaking his leg last March. He was having dinner with his longtime pal Gene Kilroy and others at the Italian American Club, where a live band was playing. On his way to the stage to do a couple minutes of schtick, he fell. His doctor recently told Greene the leg wasn’t mending properly and recommended followup surgery. Greene said he’s not going to subject himself to another operation. After shuffling to the parking lot following breakfast, Greene excused himself from a group of us saying our goodbyes. I noticed he was gathering something from his car. Then he walked over to a car and gave a family with young children several toys. No one recognized the stranger with the gifts. It didn’t matter. Greene’s greatest gift is that he’s never stopped making kids smile.